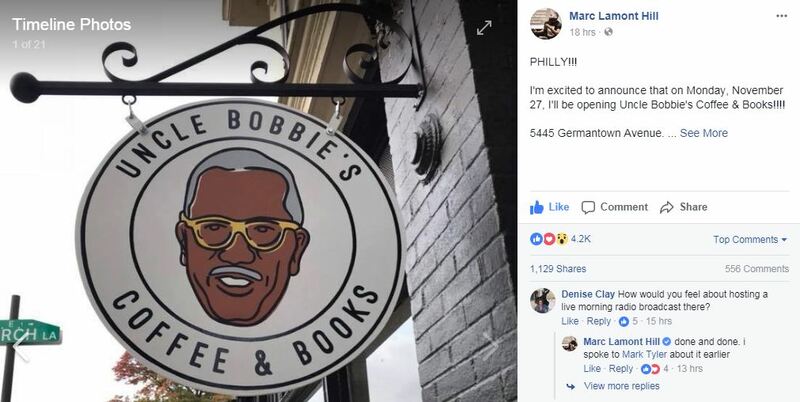 It’s always a happy occasion when a new indie bookstore café opens, but it’s even more exciting when one launches in an under served area.Last week, CNN political commentator and author Marc Lamont Hill opened Uncle Bobbie’s Coffee & Books in Philly’s historic Germantown neighborhood. 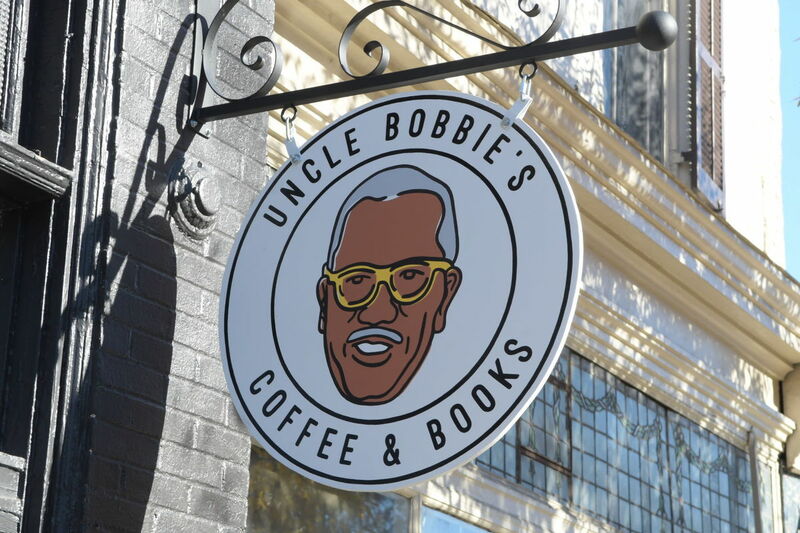 The bookshop is named in honor of Hill’s late Uncle, Bobbie Lee Hill, who helped nurture the writer and Temple University professor’s love of reading and social justice. 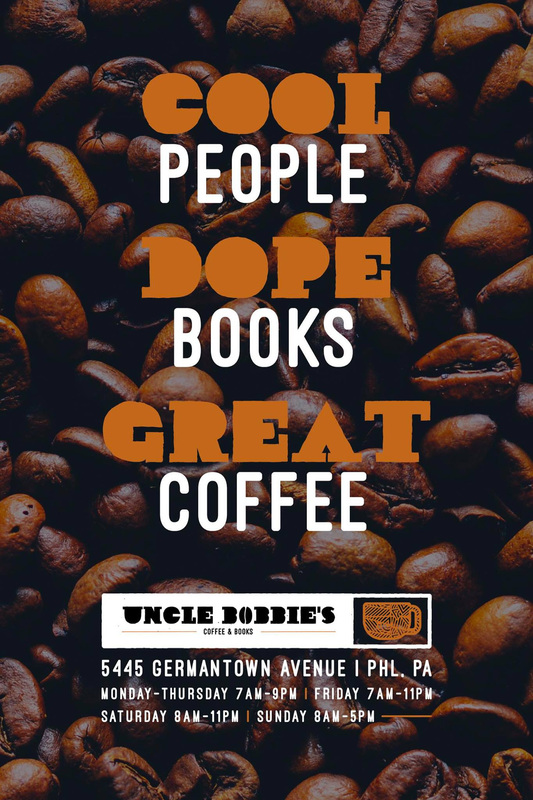 When you visit Philadelphia, be sure to stop by to browse and have a cup of joe at the welcoming bookstore on the 5400 block of Germantown Avenue.It’s a cozy, sunny space with lots of chairs and couches. 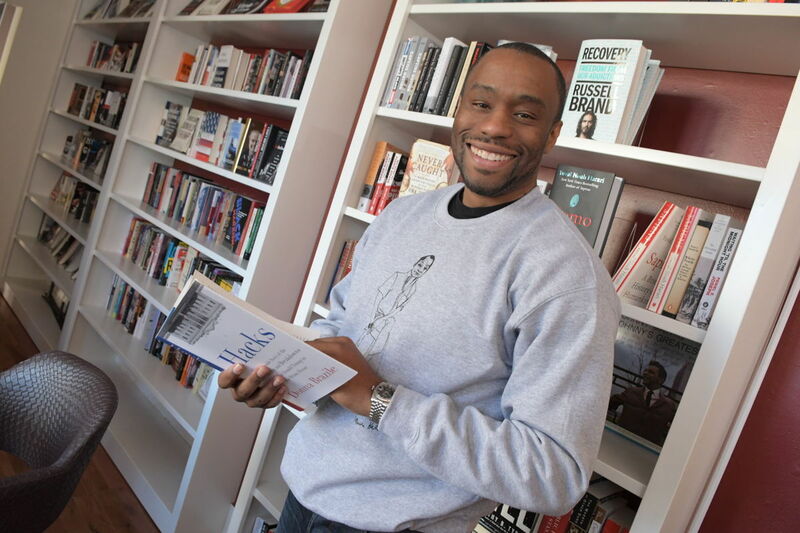 The collection is not huge, but it’s been carefully curated by Hill and a select group of contributors. 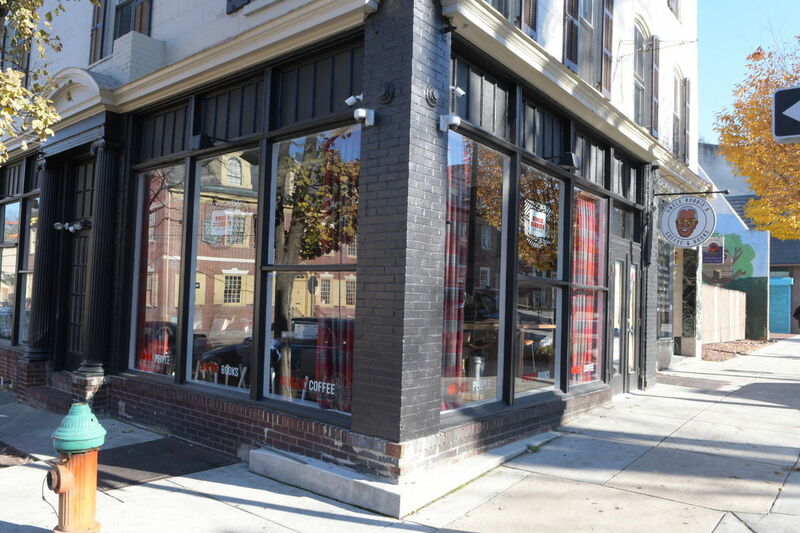 This entry was posted in Books, Bookstore Tourism, Restaurants, USA and tagged Bookstore Tourism, Germantown, indie bookstores, Philadelphia. Bookmark the permalink.